Scenario: You are the Director of Strategic Planning for a large hospital. In three weeks, the senior leadership team will embark on its annual strategic planning cycle. The CEO has decided that the team needs a “refresher” on two important topics: Internal Factor Evaluation and Internal–External Matrix. She has asked you to develop a one-page “flyer” that compares them in a side-by-side format. The flyer should describe each tool and bullet the following items: How the tool is used, strengths of the tools, limitations of the tools, and challenges that organizations usually face in trying to use the tools. • Include at least 4 current cited references from the peer-reviewed articles. 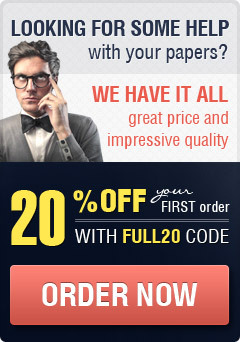 • https://business.tutsplus.com/articles/10-design-tips-to-make-a-professional-business-flyer–cms-26226 (Links to an external site. )Links to an external site. • https://designshack.net/articles/graphics/how-to-design-an-awesome-flyer-even-if-youre-not-a-designer/ (Links to an external site. )Links to an external site. • Make a Flyer using Word (Links to an external site. )Links to an external site.